I’ll start with my WHY because I believe that my business is an extension of me… so that should tell you about the kind of woman I am! 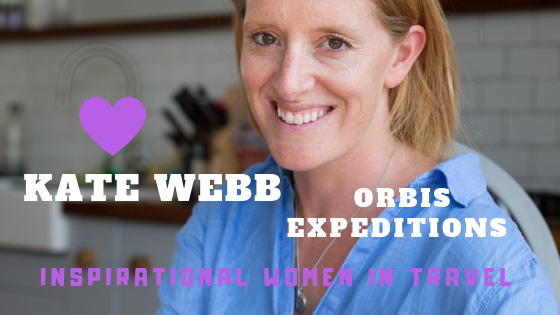 I am on a mission to help women living in emerging and growing destinations to grow their tourism business and themselves. 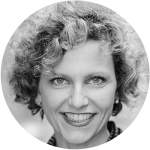 I am convinced – like marketing and branding gurus such as Simon Sinek, Bernadette Jiwa or Seth Godin – that the only way to run a successful business is to run it from your heart, with authenticity and integrity. 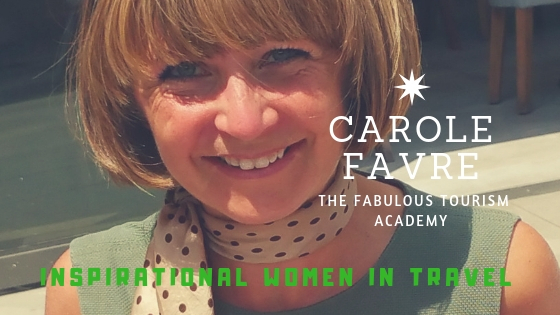 So I have just launched a teaching and transformational online platform called The Fabulous Tourism Academy that shows women how to create fabulous experiences in service to their guests, and fulfilling businesses in service to their communities and to themselves. I believe in education wholeheartedly – I was a Tourism Lecturer for 15 years – but I know, from the work I have done as an International Market Access Expert in developing destinations, that women entrepreneurs need to be supported and nurtured to unleash their full potential. Many of them feel isolated, don’t have the time to keep up with new trends and need a helping hand to keep them on track because it’s so easy to get side-tracked by our social and family duties. They need to be connected to the outside world to grow. 2. Why are you so passionate about women? Unsurprisingly, it’s personal! I grew up in rural France, in a very traditional family setting with very traditional values. Both my grand-parents were farmers and my parents were shopkeepers. I am very grateful to my parents for passing onto me their love of fabulous food and wine, of cooking, of the art of receiving guests and of their strong work ethics based on delivering the best that you can. However, my parents did not believe that as a girl, I should have any ambitions – that was expected of my brother – and that I had any brain either; I would be regularly reminded that I should not express any of my opinions because I could not possibly know what I was talking about. They did not pay much attention to how I was doing at school and although I I knew they were wrong, they were so much part of my reality that I started to believe them so I never pushed myself – I was an average student but never explored the limits of my brain. But I did that when I was older, when I met people who believed in me more than I believed in myself and pushed me to do a BA and then a Masters in Tourism. And once I started, there was no looking back – I worked all I could to prove to myself that I had a brain and completed both with a Distinction and a UK National Award for Best Student of the Year. But even with these qualifications, it is only when I accepted that I was intelligent enough that I started realising what I could achieve in life, my purpose became much clearer and I started to dream big. I think that many women have been told that they cannot not dream big, and if they have, they carry stories about themselves that stop them from achieving as big as they should. And I had to do something about that. 3. 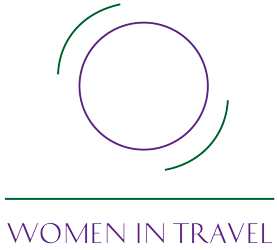 Why should any woman consider becoming an entrepreneur in the travel and tourism sector? Well, they should not! It’s not about should. It’s a calling. There is no should in my world. It is about finding your purpose as you find yourself and grow into yourself. The fabulous thing about tourism is that it does not require much money to go into, it’s a great way to make friends, to create jobs in your community, to create and share special moments with complete strangers and I find it super exciting because your brain and your heart expand as a result of seeing how you can impact people’s lives – in tourism you solve problems, you add value to your clients’ life. For me, that’s the only way to build a fulfilling business and life. 4. What do you think is the most likely challenge that women entrepreneurs encounter? As I mentioned in question 1, there is only one main challenge that matters (that’s the one that unlocks the rest) – and it is the challenge of living with integrity. The vast majority of women loose themselves in the roles they have to play in society: mother, daughter, sister, lover, wife, employee, manager, boss – and they forget their dreams, their talents, what makes them unique and different from everyone else. They know that they can play bigger but there is always something that stops them from going as far as they could. That’s because living to achieve your purpose, your call, requires making hard decisions that not everyone around us understands or can easily accept… and we love to please, to oblige, to care. So instead of caring for ourselves, we care for others and gain validation through that. We limit ourselves. And we don’t realise how and when we do it. Even the young women that I meet who are super ambitious do it. I do it. We all have our limitations but it is our choice to let them control us or to take control of them. I believe that everything we have, we create (I make a massive exception to that rule when dramatic uncontrollable events happen to us, such as natural disasters or wars – that we do not create at all). Our lives are simply a result of the choices we make. You were probably expecting me to list a series of external challenges (e.g. family-duties, no access to funding) but it starts from within. Your instinct tells you who you really are and what you really should be doing with your life. Learning how to listen – and to follow through on what you hear – is the biggest challenge we face as women. Listen to your GUT (Give Up Thinking). The biggest lesson I take from launching The Fabulous Tourism Academy and my consultancy business before that, is that “you need to let go of the need to know”. 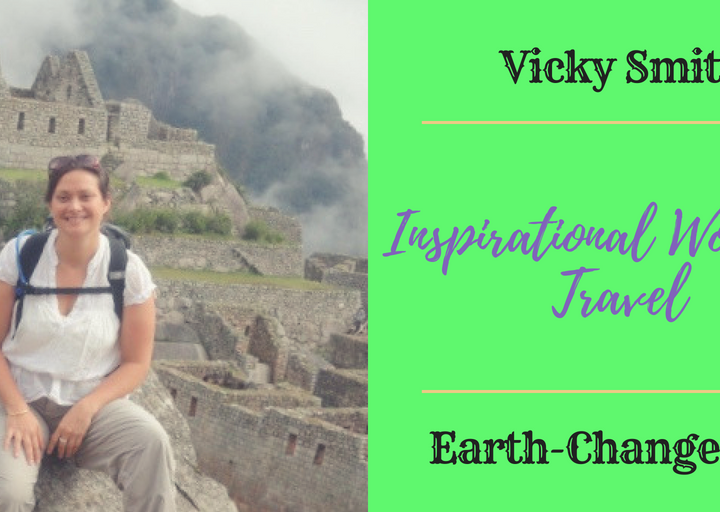 I have had to accept that setting out to do things in a certain way blinds you to opportunities that could be truly amazing – this was a challenge for me as I am very lazer-focused. I have learned to be opened to anything that comes my way, and then to decide whether it is right for me or not. In addition, I have had a great experience leveraging the power of my extensive network, which got me my first 10 clients. It was very time-consuming to write to everyone, and somewhat nerve-racking to hang in the tension of waiting for people to get in touch and to share the course information with their own contacts but it worked. I have some amazingly supportive people in my network; and I feel immensely grateful to be blessed this way. As a start-up, launching with no money -.I have funded myself all the way – the only thing I can invest in my business is time, so I decided to spend time connecting with my network. As a result of having a limited budget, I have learned to do everything myself, from video editing to designing websites or automising emails, because I can’t afford to pay someone to do that for me yet… soon but not yet 🙂 So I have developed lots of new skills, which I will be able to share with my students. A third lesson has been to discover that I am not alone in arguing that the future of business is in being able to build your company based on your values, your story, your genius… and that there is a more conscious way of doing business. This is evidenced by the massive growth of mindful business in the US, and in the writings of Marketing Gurus such as Simon Sinek, Seth Godin or Bernadette Jiwa, or in books such as Blue Ocean Strategy (my favourite business book). So it feels great to know that I am not alone, and that I am actually at the forefront of a wave of change that’s moving from a very ‘masculine’ way of doing things to a more ‘feminine’ approach to creating businesses that are fulfilling to their founders and of service to communities and customers, and where sharing and collaborating are key to success. THE FABULOUS TOURISM ACADEMY’S GIVE AWAY! US$100 off our modules for one-off payments ONLY. 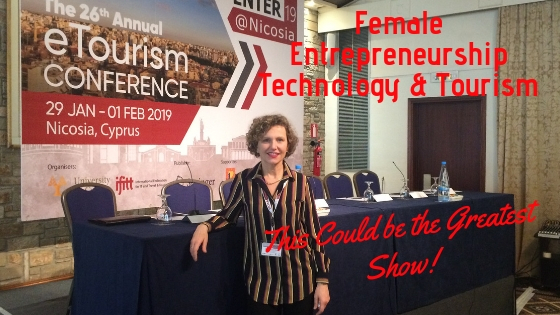 Women in Travel & Tourism, Entrepreneurship and Technology…This could be The Greatest Show!